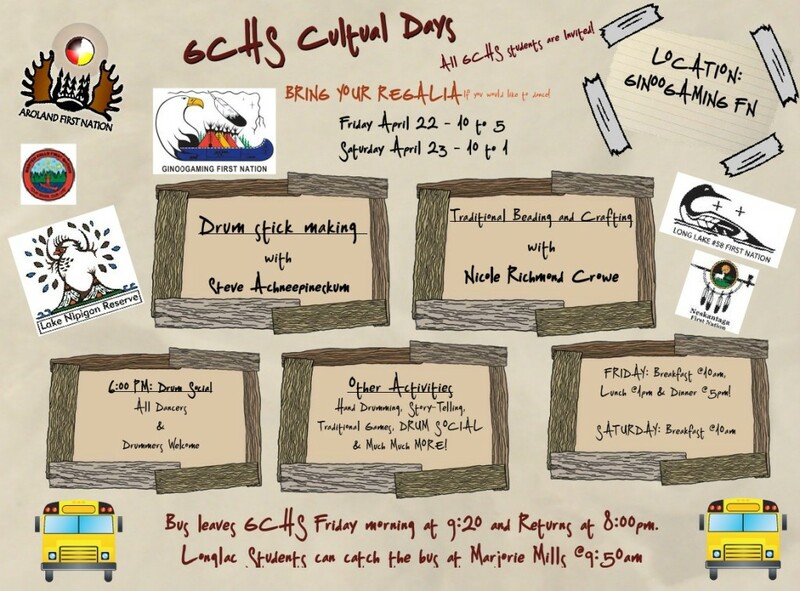 Come celebrate the awesomeness of Indigenous Culture at the GCHS Cultural Days! Join members of local First Nations in celebrating culture, language, art, and food at host Ginoogaming First Nation. Buses will be provided from Geraldton and Longlac! For more information, please contact Andy McFarlane at GCHS. This event is open to all GCHS students, staff, and families. Thank you to the Superior-Greenstone District School Board Aboriginal Liaison and the First Nation Métis and Inuit Inquiry Group for their support.